Peppermint patties are great treat after a meal because they’re not too heavy and often are just the right amount of sweetness. We agree with Lisa over at Easy Home Made that frozen peppermint patties are awesome. 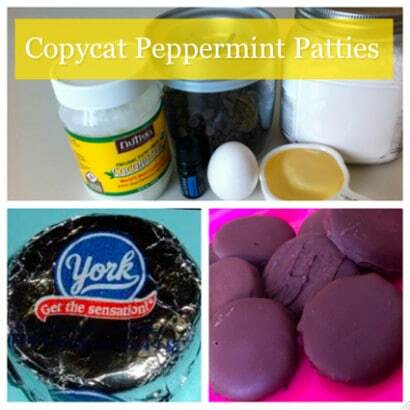 Lisa’s copycat peppermint patty recipe is an easy candy to make using only six ingredients. By the way, these homemade candies go great in a DIY gift mug.